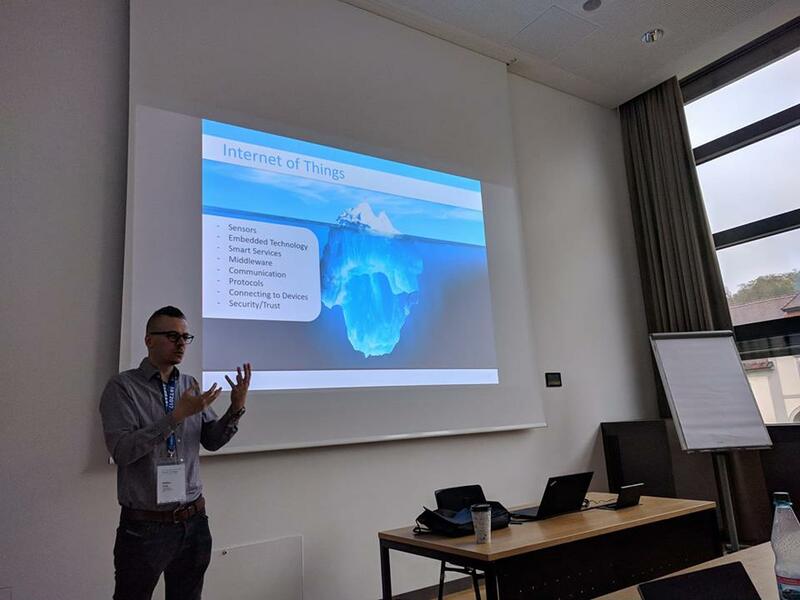 The IoT (Internet of Things) conference was held in Linz (Austria) this year. 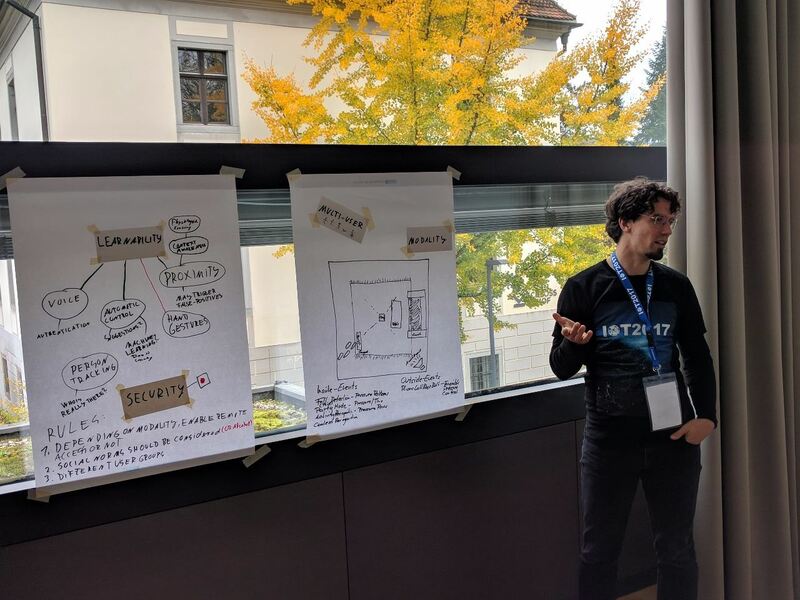 Mario Aehnelt (Fraunhofer IGD Rostock, Germany), Sebastian Büttner (Institute Industrial IT/SmartFactoryOWL, Germany), Markus Funk (TU Darmstadt), and I organized a workshop to discuss HCI topics within the area of IoT. What does IoT exactly mean, how we will interact with smart devices in the future, how influence our behavior (and maybe break bad habits 😉 ), and how to design smart environments in our daily life were some discussion key points. Markus Funk opened the workshop by pointing out the focus of HCI research for future IoT development (which is the user interaction design and implementation). 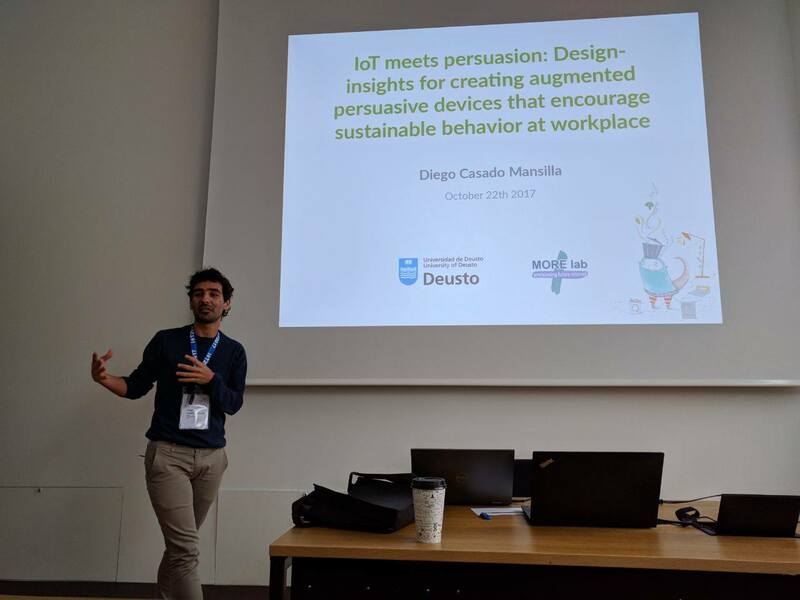 Diego Casado Mansilla presented how IoT can be used to change the persuasion of past behavior of human beings. By augmenting a coffee machine with lights indicating the current energy consumption, the individual awareness regarding energy consumption should be increased. 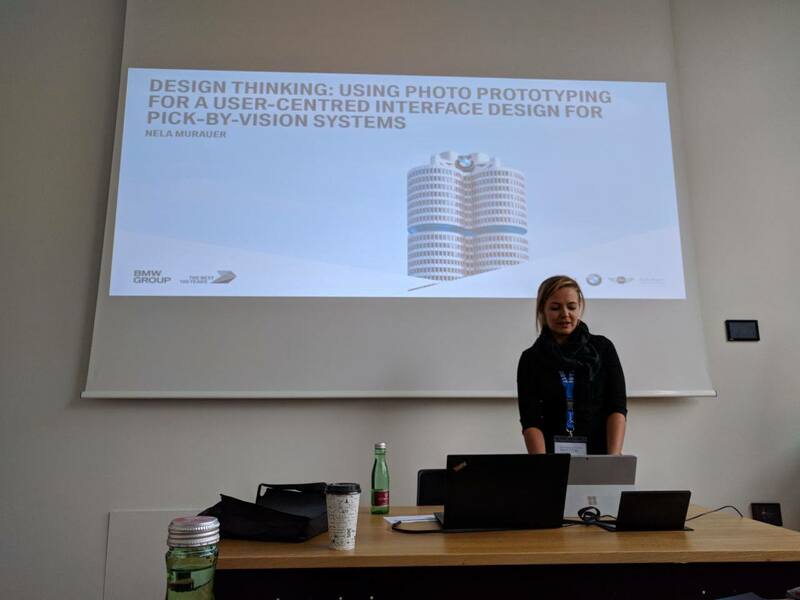 Nela Murauer showed design approaches of how pick-by-vision systems can be designed to provide an affordable experience for people working in the area of commissioning. 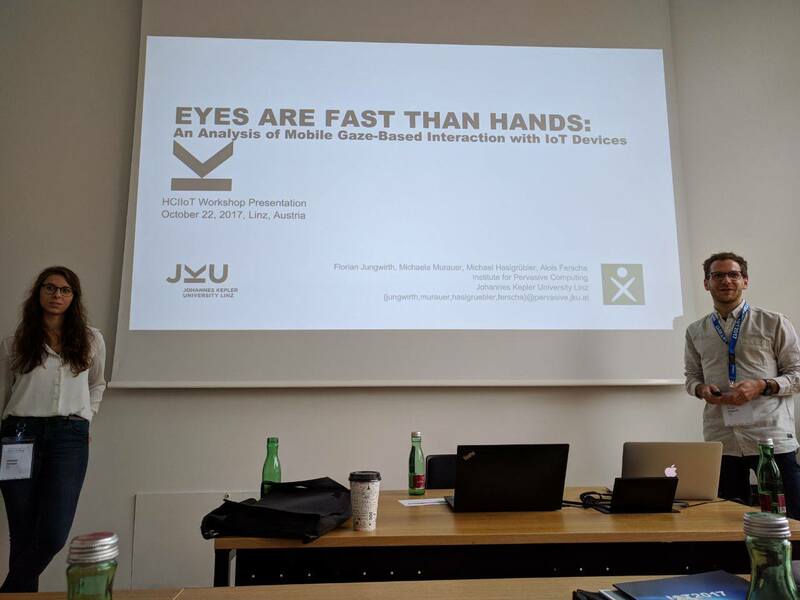 Florian Jungwirth, Michaela Murauer, and Michael Haslgrübler-Huemer presented how eyes can be employed to interact with devices. Avoiding the Midas Touch effect and increasing the eye interaction accuracy was the focus of their work. 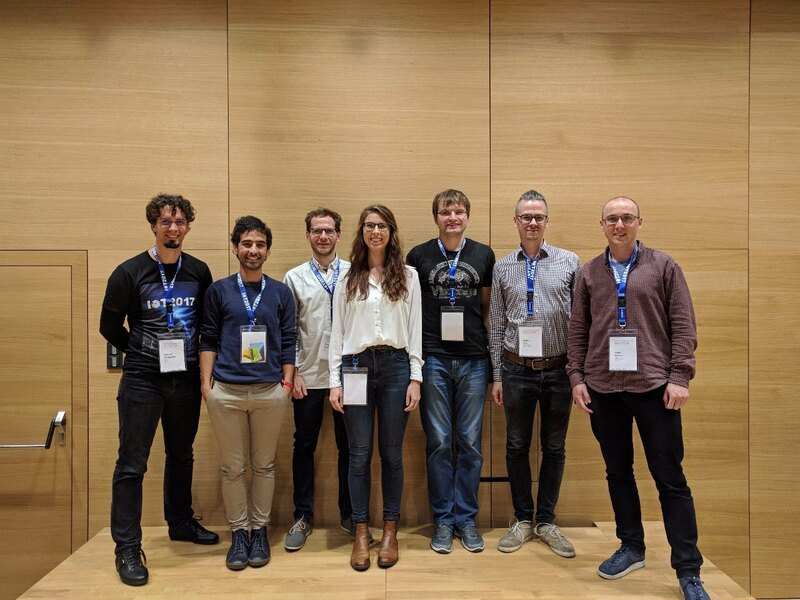 The workshop concluded with a group assignment, where the workshop participants discussed the topics Security, Learnability, Interaction, and Privacy for future intelligent environments. The trade-off between privacy and interaction space was generously discussed during the workshop. Furthermore, the complexity of interacting with all these devices over a unified platform was lively discussed. Overall, the workshop gave us many insights about how to design ubiquitous computing environments. We thank the workshop attendees for their participation in the workshop and are looking forward for future collaborations!